Guests aged 50 and up enjoy a special opportunity through the end of October. 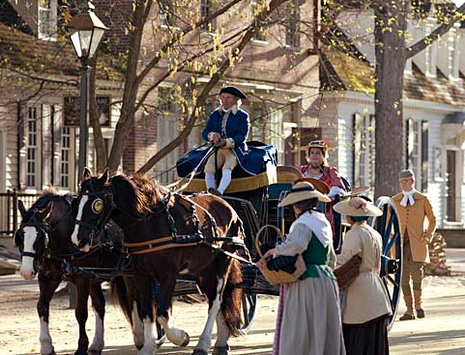 For the price of a single-day admission, they get the privilege of unlimited visits to the Revolutionary City and the Art Museums of Colonial Williamsburg through the rest of the year. Qualifying guests must present an ID verifying their age when purchasing the ticket. The “Pay for a Day and Come Back the Rest of 2013” offer is valid from Sept. 1 through Oct. 31. The promotional price is based on the single day admission of $41.95 and cannot be combined with any other discounts. The special tickets are available for purchase on-site at the Colonial Williamsburg Regional Visitor Center, and in the Revolutionary City at the Lumber House Ticket Office and Dubois Grocer.